Oregon is a state in the Pacific Northwest region of the United States. It is located on the Pacific coast, with Washington to the north, California to the south, Nevada on the southeast and Idaho to the east. The Columbia and Snake rivers delineate much of Oregon's northern and eastern boundaries, respectively. The area was inhabited by many indigenous tribes before the arrival of traders, explorers, and settlers who formed an autonomous government in Oregon Country in 1843. 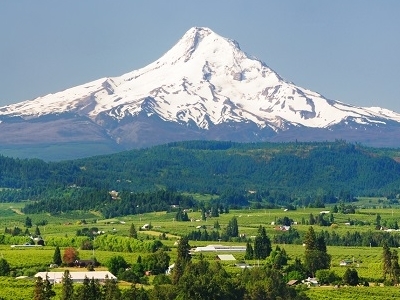 The Oregon Territory was created in 1848, and Oregon became the 33rd state on February 14, 1859. Salem is the state's capital and third-most-populous city; Portland is the most populous. 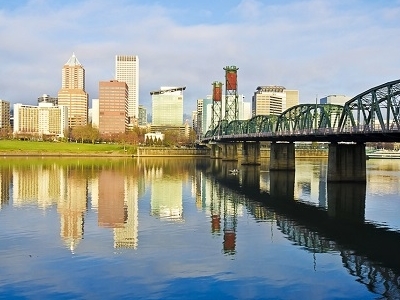 Oregon's 2010 population is just over 3.8 million, a 12% increase over 2000. Portland is the 29th-largest U.S. city, with a population of 583,776 (2010 US Census) and a metro population of 2,241,841 (2009 estimate), the 23rd-largest U.S. metro area. The valley of the Willamette River in western Oregon is the state's most densely populated area and is home to eight of the ten most populous cities. Here's the our members favorite photos of "States/Regions in United States". 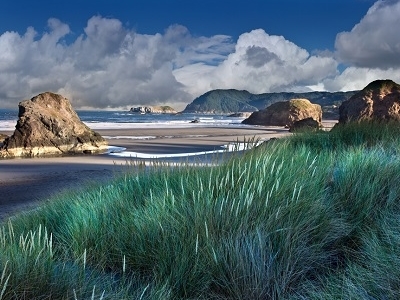 Upload your photo of Oregon!